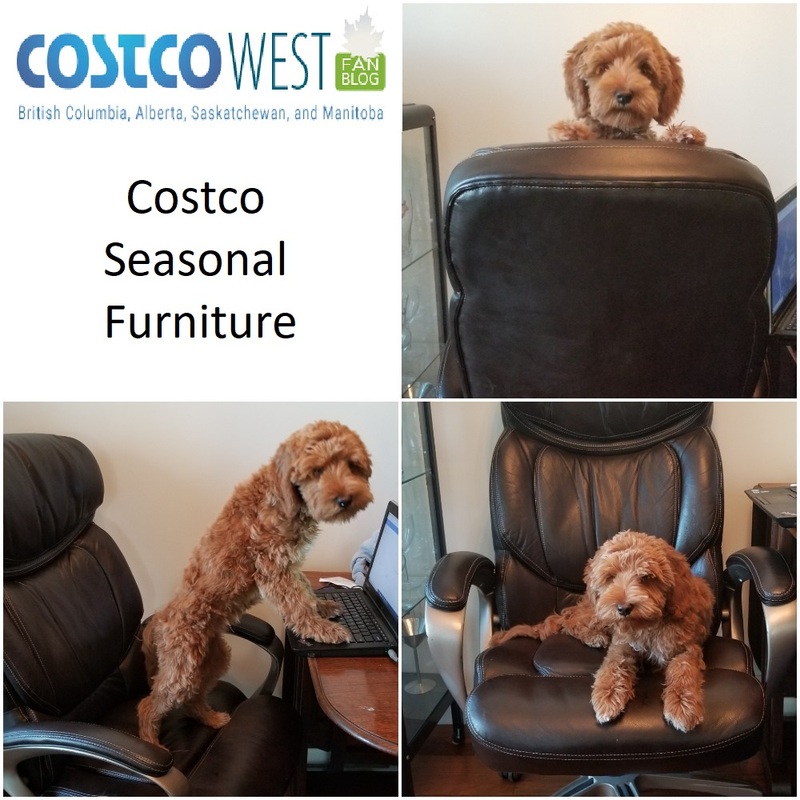 This month – Costco has brought in tons of furniture. We have purchased quite a few items (online and from the warehouse) and found them to be very good value. Everything that we purchased has held up very well. To save you all some trouble of going to the warehouse, I am posting all the seasonal furniture items at my local store (4 entire aisles). Some of the furniture items have been known to go on clearance in a couple of weeks. You never know what will go on clearance – but if you keep your receipt be ready to rush into the store to get a refund! These are located in the middle aisles nearest to the back of the store. Hopefully this will help everyone plan out their shopping a bit more. Please note that this is a snapshot of my local Costco store and not all the products you see here will be available throughout Western Canada. There are always local variations to Costco Products (for example, I heard that Downtown Vancouver has only 2 aisles of furniture because it is a smaller warehouse). Happy Shopping! ask the service counter near the washrooms at the Regent Store, give them the item number and they can check the other 2 locations in the city to see if they have it. We bought two of the power recliners this weekend. Love them!! And much cheaper than anything we were looking at for other furniture stores. Does anyone know if the Domus Vita Upholstered Bed comes in King size as well? Thank you so much for taking the time to post all the sales at Costco. Your website is a huge time saver to planning my Costco trips. Love your dog Boots he’s super adorable. What breed is he?